A capacity audience gathered at the Guildhall in London yesterday (3rd October) for the 12th annual presentation of the BACA Excellence Awards. 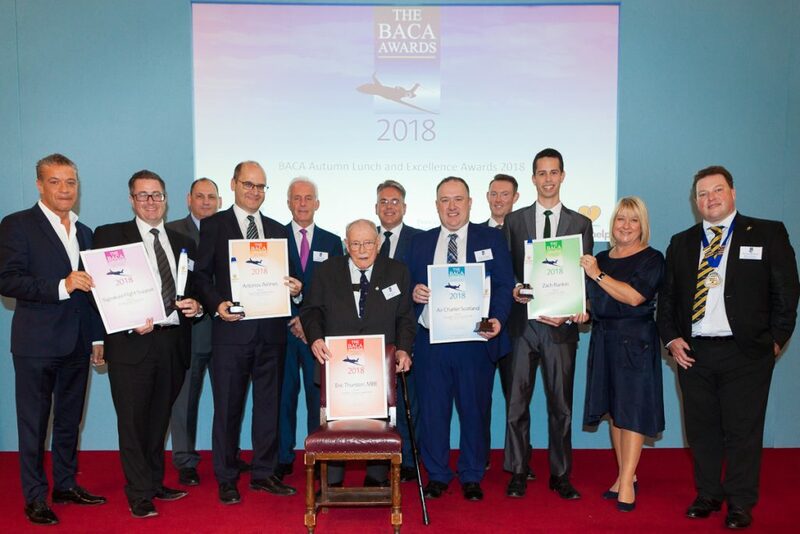 Finalists were shortlisted by a panel of international judges – including representatives of many of the key regional and trade associations – together with voting by BACA members to find the ultimate. TAG Farnborough Airport were delighted to sponsor the Young Person of the Year Award 2018. The award was received by Zach Rankin from PrivateFly. Many Congratulations to Zach and all the winners.